I n considering this strategy, it is clearly not a strategy for war; it is a strategy for maintaining the peace, the sometimes violent peace that has become the new norm. As such, it assumes the Coast Guard will continue exercising its normal peacetime priorities. Still I feel it should provide a guide for transition to a wartime footing. Unless it is in the classified annex, that guidance is missing, in that it does not define Coast Guard wartime roles or suggest how the Coast Guard might be shaped to be more useful in wartime. The Coast Guard is, potentially, a significant Naval force. It currently has more personnel than the British Royal Navy. 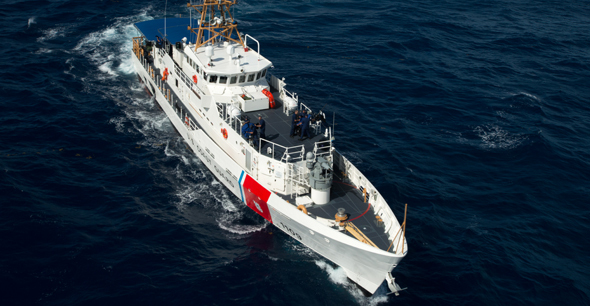 Effectively, the Coast Guard is the low end of the American Naval Forces’ High/Low mix, bringing with it significant numbers of patrol vessels and aircraft. At little marginal cost, it could be made into an effective naval reserve that would serve the nation well in an intense conventional conflict. If you look at the title, “A Cooperative Strategy for 21st Century Seapower: Forward, Engaged, Ready,” the words cooperative, forward, and engaged are particularly relevant in describing the thrust of the strategy. It expects US naval forces to cooperate and engage with allied and friendly forces both to improve relations and strengthen and encourage those friendly forces. The Coast Guard has a major role in this, in bringing expertise in a board range of governance functions that friendly navies and coast guards can relate to. The Navy also expects to have a substantial part of its force “forward.” Not only forward but also geographically widely distributed. This violation of the Mahanian maxim to keep your battle force concentrated has been the norm for decades, but it has been a reflection of the preponderance of the US Navy that may be eroding. It is a calculated risk that, the benefits of working with and assuring allies and being on scene to deal with brush fires, outweighs the potential risk isolated, forward deployed Carrier Strike and/or Amphibious Ready Groups might be overwhelmed in a first strike by a concentration of hostile forces. The strategy talks about surge forces, but frankly the potential is far more limited than it was when the Navy was larger. For the Coast Guard this “forward” strategy, combined with the apparently ever increasing concentration of US Navy forces in only a few homeports, including foreign ports, has important implications. There are long stretches of the US coast that may be hundreds of miles from the nearest US Navy surface combatant. 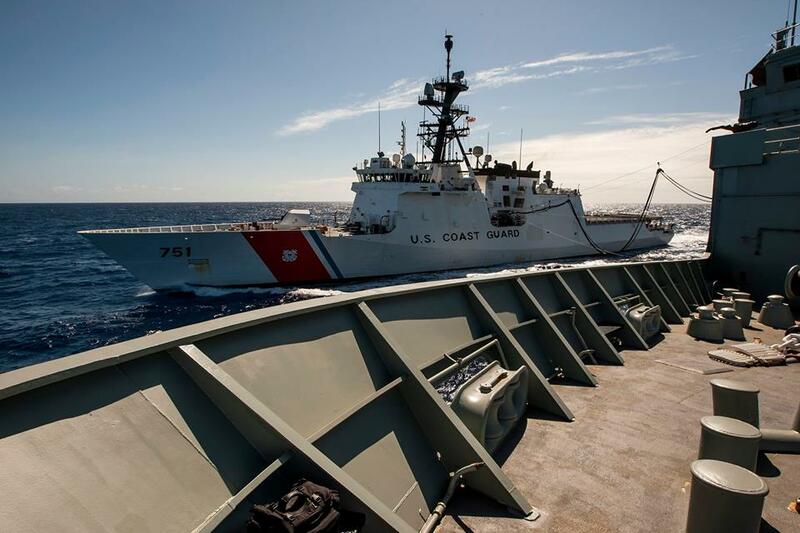 If a suspicious vessel is approaching the US, that must be boarded to determine its nature and intent, the boarding is most likely to be done by a Coast Guard cutter, and not by a National Security Cutter, but most likely by something much smaller. The cutter is also unlikely to have any heavily armed backup. WHAT IS INCLUDED IN THE STRATEGY? In several places there is recognition of the Coast Guard’s potential for capacity building with navies and coast guards of friendly nations. There is also an apparent commitment to an improved and shared Maritime Domain Awareness. The apparent intent to increase the availability of modular systems provides a means of quickly adapting Coast Guard assets to wartime roles, but thus far I have seen no official interest in exploiting this possibility. 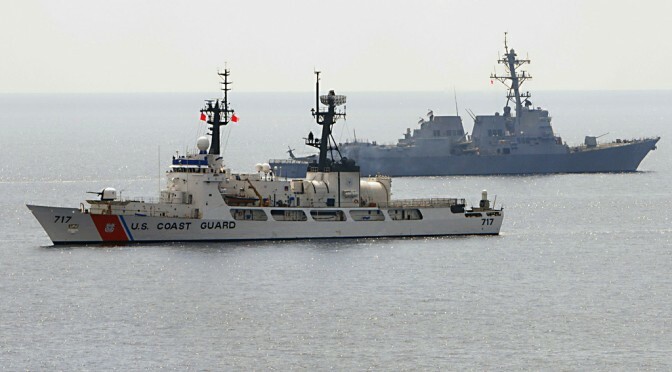 The Middle East Section seems to suggest that the six Coast Guard patrol boats and their augmented crews, currently stationed in Bahrain, will remain there and, given their age, they may require replacement as the new Webber Class WPC, Fast Response Cutters, come on line. In fact these Webber class patrol craft could be very effective in combatting piracy off Somalia. These patrol craft essentially fill the same role and face the same threats as the Navy’s Cyclone class patrol craft. Will they receive any of the weapons upgrades that the Navy’s Cyclone class PCs have been given? Looking at the section on the Western Hemisphere, there is a commitment to, “…employ amphibious ships and other platforms, including Littoral Combat Ships, Joint High Speed Vessels, Afloat Forward Staging Bases, hospital ships, other Military Sealift Command ships, and Coast Guard platforms, to conduct humanitarian assistance and disaster response missions. We will also employ maritime patrol aircraft such as the P-8A Poseidon and unmanned aerial vehicles. Other ships and aircraft will provide periodic presence for recurring military-to-military engagements, theater security cooperation exercises, and other missions.” But there is no specific commitment to employ Navy vessels for drug enforcement. Was this omission intentional? 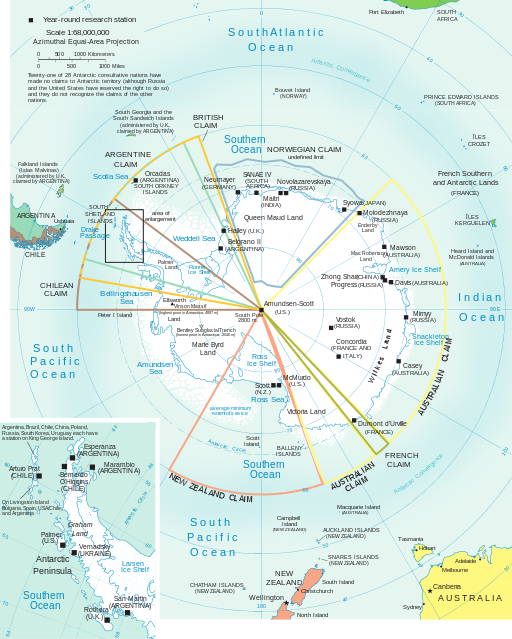 Looking at section on the Arctic and Antarctic, There is no specific commitment by the Navy, although the DOD does have an Arctic strategy that includes better hydrography and Maritime Domain Awareness. It looks like the Navy is content for the Coast Guard to be the face of US naval presence in the Arctic. There is reference to the use of the Nation Security Cutters (NSC) in the Arctic, but surprisingly no mention of the planned 25 Offshore Patrol Cutters (OPC) even though the OPCs will be ice-strengthened, while the eight planned NSCs are not. 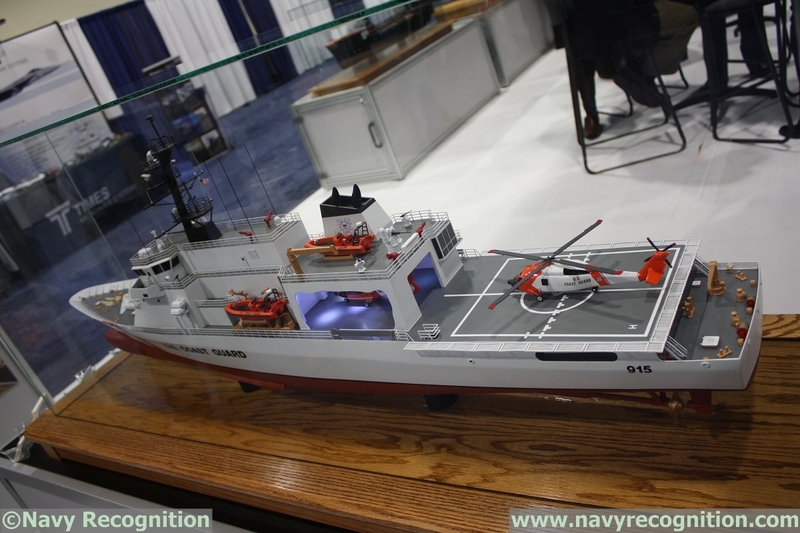 A model of Eastern’s proposal for the Offshore Patrol Cutter. Eastern is one of three shipyards still in contention to build the 25 ships planned. In the Deterrence section, the strategy states, “The Coast Guard maintains a continuous presence in our ports, internal waterways, along our coasts, and offshore, providing an additional layer of defense against maritime threats.” But there is no definition of what threats the Coast Guard is expected to respond to and no definition of the capabilities the Coast Guard is expected to provide to deal with these threats. 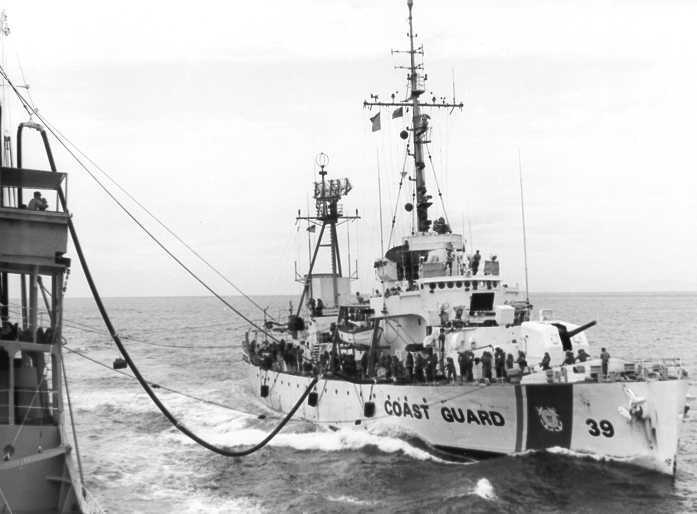 Cutter Owasco (WHEC-39) unreps while engaged in Operation Market Time off the coast of Vietnam. In the Sea Control section there is no mention of a Coast Guard role in Sea Control. There should be. Sea Control frequently involves Visit, Boarding, Search and potentially Seizure of non-military vessels, e.g. merchant and fishing vessels. The Coast Guard is ideally suited for this role and has conducted this type of operation in war zones in the past, notably the Market Time Operation during the Vietnam War. In fact, the common Coast Guard missions of drug and alien migrant interdiction are forms of sea control that potentially protect the US from non-state actors. The strategy does address these particular elements of Sea Control in the Maritime Security section. When it comes to counting assets that might be used to exercise sea control, the Navy has roughly 110 cruisers, destroyers, frigates, LCS, and patrol craft and most of these, particularly the 85+ cruisers and destroyers, will almost certainly have higher priority missions. The Coast Guard includes over 100 patrol boats and about 40 larger patrol vessels that routinely exercise sea control on a daily basis. From a Coast Guard perspective, this strategy has largely canonized the status quo and the existing recapitalization program of record. 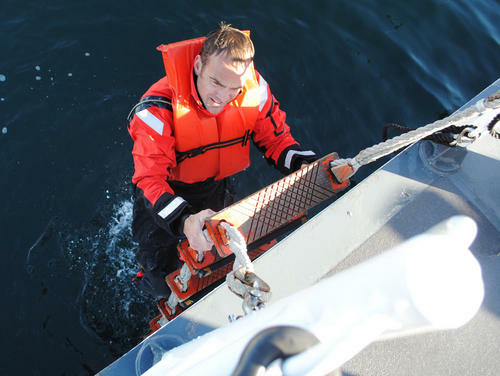 It recognizes the Coast Guard’s unique authorities and its ability to contribute to capacity building. It seems to promise greater integration of a multiservice Maritime Domain Awareness. On the other hand it does nothing to define Coast Guard wartime missions or how the Coast Guard might transition to a wartime footing. The force structure section does nothing to inform the design of Coast Guard equipment so that it might be more useful in wartime. It also does nothing to help that Coast Guard patrol boat I talked about at the beginning that is about to attempt to stop and board a potential hostile vessel that may be about to make an unconventional attack on a US port. This is only the second iteration of the three service cooperative strategy. It is a marked improvement in specificity over the previous document. Hopefully there will be a process of continual improvement in succeeding editions. This post appeared in its original form at Chuck Hill’s CG Blog. Chuck retired from the Coast Guard after 22 years service. Assignments included four ships, Rescue Coordination Center New Orleans, CG HQ, Fleet Training Group San Diego, Naval War College, and Maritime Defense Zone Pacific/Pacific Area Ops/Readiness/Plans. Along the way he became the first Coast Guard officer to complete the Tactical Action Officer (TAO) course and also completed the Naval Control of Shipping course. He has had a life-long interest in naval ships and history.